I just got back from Food Blog Forum in Orlando and let me tell you, arriving at 1am in 10 degree weather was a shock I was not prepared for. I am missing the warm weather, sunshine (even though it only graced us for a day), and especially the magical setting. I’ll overwhelm you with details and photos tomorrow, but my oh my did I feel spoiled this weekend! 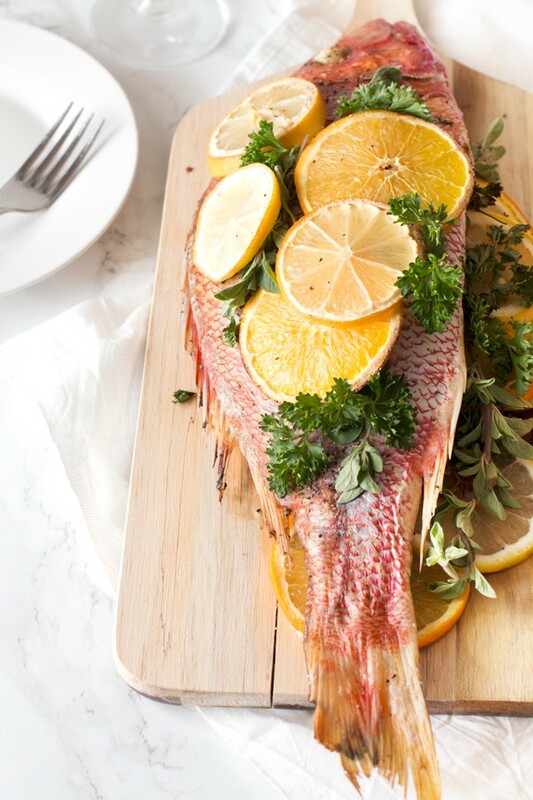 Since I am missing the sunshine state rather fervently at this particular moment, I have to share this red snapper recipe with you. Doesn’t it just scream Florida to you with all those lemon and orange slices? I used to be very intimidated by the idea of cooking a fish whole. 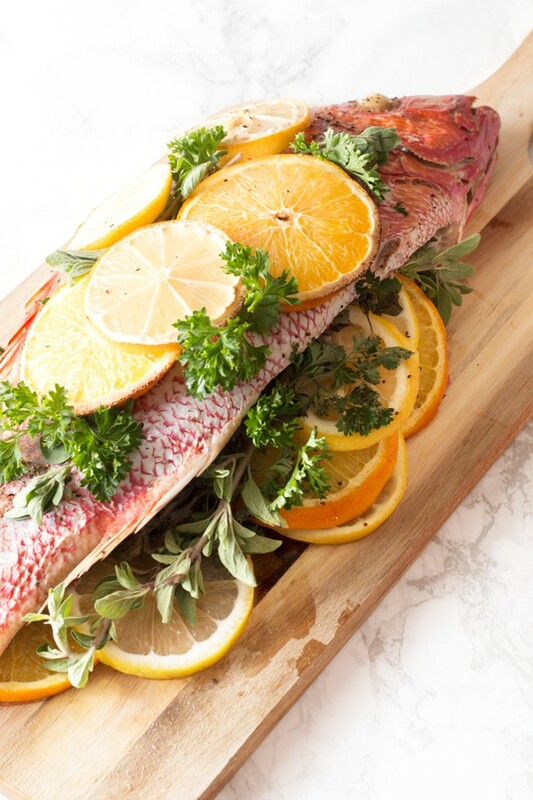 Upon my first attempt, I quickly learned roasting a whole fish is much easier than cooking filets, so I was hooked. When you don’t have to worry about skin sticking to the pan or the flesh breaking apart when you turn it, sticking a whole fish in the oven and letting it slowly roast away will put you at ease. This fish looks so impressive when you set it down in the middle of the dining table. Everyone ooo’s and ahh’s over it, as they take in the strong scent of fresh herbs and citrus. You’ll feel like a rock star! 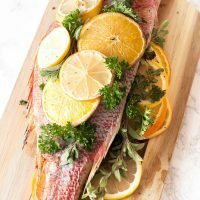 A roasted whole fish recipe that takes very little preparation, but will taste like you put hours of effort into the flavor. Preheat oven to 400 degrees. Line a rimmed baking sheet with parchment paper or silpat. Mmmmmmmmmmmmmm this looks so amazing! Can I call a whole dead fish beautiful? Ok, I will, because it is! Beautiful! I’ve never cooked a whole fish….so I guess bones are still all up in there? A whole dead fish is such a beautiful thing! 😉 The bones are in there but there aren’t too many to deal with once you carve off the filets. 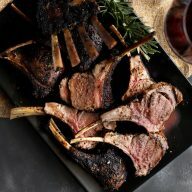 I am so excited to have found your site – the recipes especially! 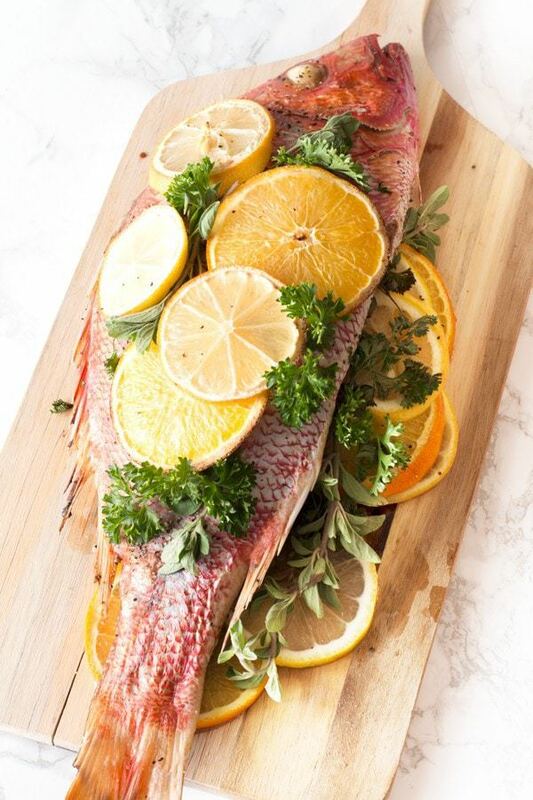 Your Roasted Citrus & Herb Red Snapper recipes looks so delicious, it attracts me. I cannot wait to try this super healthy foods for healthy eating. This is what my friends looking for, fresh and nutritious. Your other recipes also are excellent. 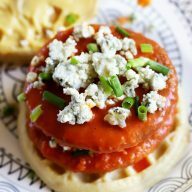 Thank you so much for this healthy recipes you have shared with us! Awesome! I am still in the phase of being intimidated by a whole fish – but you make it look so easy I have to give it a try! You definitely should! It’s a little intimidating but so much easier than you would ever think it would be. Try it and let me know how it goes! I am planning on making this tonight but I don’t have a whole fish. I have a fillet with the skin on one side. Hair would you suggest I prepare it? Should I put the skin side down? Lay it on the citrus and put a little on top? 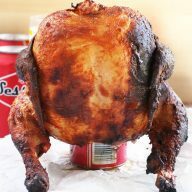 I would recommend putting it skin side down and place citrus on top of it! The citrus juices will go down into the meat of the fish just like if you were roasting the whole stuffed fish 😊 enjoy! Wednesday Slice – Food Blog Forum Orlando!